Grants Will Benefit 31 Law Enforcement Agencies Across New York State. Albany, NY - April 16, 2014 - Governor Andrew M. Cuomo today announced that 31 law enforcement agencies across New York State will share nearly $1 million in grants to reduce, solve and prevent crime. Administered by the state Division of Criminal Justice Services (DCJS), the Operation IMPACT Tools grants were made available to law enforcement agencies in 40 Upstate counties that had not otherwise participated in the state’s Operation IMPACT program, which has since transitioned to the Gun Involved Violence Intervention (GIVE) initiative. Both IMPACT and GIVE target 17 counties that account for 80 percent of the reported crime in the state outside of New York City. Agencies within those 17 counties not already funded through IMPACT/GIVE also were eligible to apply for Tools grants, which are designed to encourage law enforcement agencies in smaller jurisdictions to use active partnerships; timely, accurate crime data; sharing of information; and effective strategies to target and reduce crime in their communities. The grants, which total $976,790, were awarded to 27 police departments and four sheriffs’ offices in 21 counties. Including these grants, New York State has provided nearly $5.2 million to 129 agencies since the Tools program was created in 2005. East Hampton Police Department (Suffolk County): $23,900 for increased patrols to target car larcenies and burglaries. Garden City Police Department (Nassau County): $30,000 for increased patrols to target car larcenies and burglaries. Rockville Centre Police Department (Nassau County): $40,000 for increased patrols to target robbery and car larcenies. Beacon Police Department (Dutchess County): $49,900 for increased patrols to combat burglaries, larcenies and other property crimes. Greenburgh Police Department (Westchester County): $22,500 for a license plate reader package. The agency will use the technology in its efforts to target burglaries. Hyde Park Police Department (Dutchess County): $50,000 to assist with the creation of a Domestic Abuse Response Team (DART) that will work with established programs throughout the county to target domestic violence. Liberty Police Department (Sullivan County): $20,000 for increased patrols to combat drug- and gang-related criminal activity. Poughkeepsie (Town) Police Department (Dutchess County): $22,700 for a license plate reader package. The agency will use the technology in its efforts to target burglaries and larcenies. Saugerties Police Department (Ulster County): $50,000 for two license plate reader packages. The agency will use the technology in its efforts to target burglaries, larcenies and motor vehicle thefts. Colonie Police Department (Albany County): $50,000 for two license plate reader packages. The agency will use the technology in its efforts to target burglaries. Glenville Police Department (Schenectady County): $36,000 for two license plate reader packages. The agency will use the technology in its efforts to target burglaries, larcenies and motor vehicle thefts. Niskayuna Police Department (Schenectady County): $35,000 for a license plate reader package. The agency will use the technology in its efforts to combat burglaries and larcenies. Rensselaer Police Department (Rensselaer County): $25,000 for a license plate reader package. The agency will use the technology in its efforts to target larcenies. Washington County Sheriff’s Office: $18,200 for a license plate reader package. The agency will use the technology in its efforts to target burglaries and larcenies. Plattsburgh Police Department (Clinton County): $45,600 to enhance the investigation of sale of stolen goods. Camillus Police Department (Onondaga County): $33,800 to purchase a license plate reader package. The agency will use the technology in its efforts to reduce burglaries and larcenies. Madison County Sheriff’s Office: $43,300 to purchase two license plate reader packages. The agency will use the technology in its efforts to reduce burglaries, larcenies and motor vehicle thefts. Bath Police Department (Steuben County): $16,900 to purchase a license plate reader package. The agency will use the technology in its efforts to reduce burglaries, larcenies and motor vehicle thefts. Johnson City Police Department (Broome County): $20,900 for enhanced investigation and supervision of probationers and parolees to reduce recidivism. Brockport Police Department (Monroe County): $31,200 for increased patrols to combat burglaries and motor vehicle thefts. Dryden Police Department (Tompkins County): $8,720 for training an evidence and equipment technician. East Rochester Police Department (Monroe County): $5,500 for increased patrols to focus on reducing car larcenies and burglaries. Gates Police Department (Monroe County): $10,600 for increased patrols to target car larcenies and burglaries. Orleans County Sheriff's Office: $23,900 for increased patrols and investigation to combat burglaries. Seneca Falls Police Department (Seneca County): $13,800 for the purchase of a license plate reader package. The agency will use the technology in its efforts to combat larcenies and motor vehicle thefts. Tompkins County: $47,200 to fund three of the eight license plate reader packages the county plans to purchase, to be used by six agencies within the county: Tompkins County Sheriff’s Office and Ithaca, Dryden, Trumansburg, Cayuga Heights and Groton police departments. Yates County Sheriff’s Office: $44,370 for three license plate reader packages. The agency will use the technology in its efforts to reduce burglaries and other crimes. Cheektowaga Police Department (Erie County): $50,000 for the purchase of three license plate reader packages. The agency will use the technology in its efforts to reduce burglaries and larcenies. Lancaster Police Department (Erie County): $36,300 for increased patrols and investigations to combat burglaries and larcenies. Lewiston Police Department (Niagara County): $41,500 for the purchase of two license plate reader packages. The agency will use the technology in its effort to reduce index crimes in the town. Lockport Police Department (Niagara County): $30,000 for enhanced patrols targeting all index crimes. 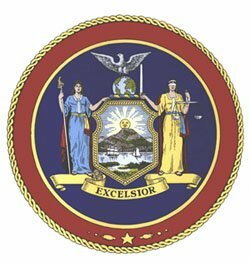 Subject: LongIsland.com - Your Name sent you Article details of "Governor Cuomo Announces Nearly $1 Million in Crime-Fighting Grants"